Lazy Angle Ruler…Take it or Leave it? 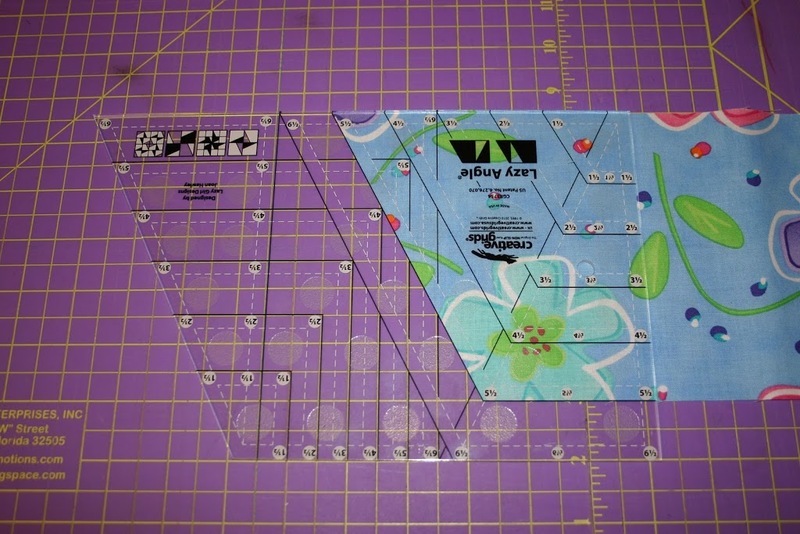 I’ve seen a lot of amazing patterns lately that use the Lazy Angle Ruler. So naturally, I wanted to try it out. I played around with the ruler this morning and I’ve decided…I’ll take it! Like anything else new, there was a small learning curve. 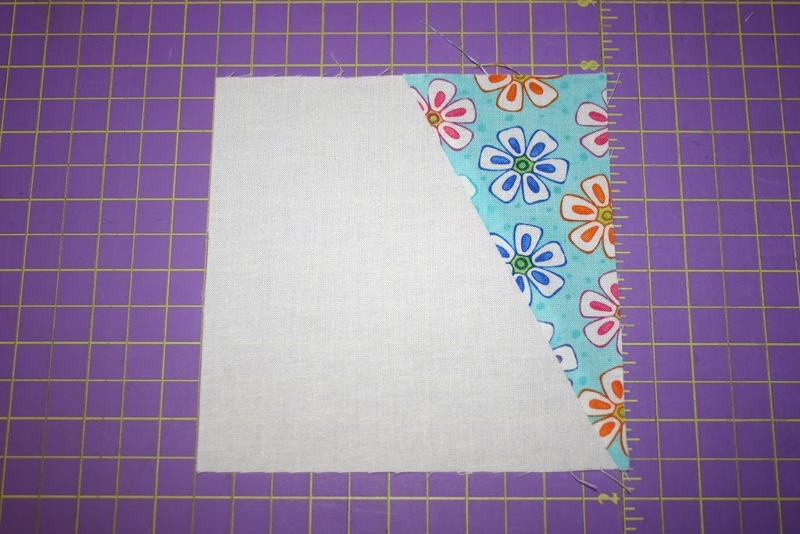 But after ripping out the very first seam…I was good to go. So, let me show you what I did today. First, I grabbed some left over Amelia fabric, a little white, and my cutter and away I went. The cool thing about this ruler is you use strips of fabric ranging from 1.5″ to 6.5″ in width. So, you could use jelly rolls, layer cakes, etc. if you love precuts which I do! 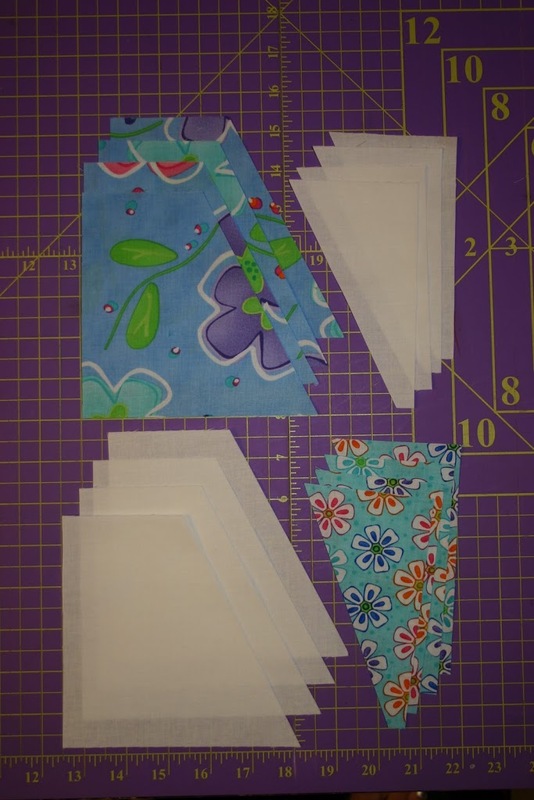 I decided I would use 5.5″ strips just because that was the size of my scraps. I’m going to cut my A pieces first. The ruler is lined up exactly how I will cut. You cut along the diagonal edge of the ruler. This is considered a right facing A piece. Note my ruler is now upside down and I will cut along the straight edge on the right of the ruler. I kept flipping the ruler until I had 4 A pieces. Now, it’s time to do the B pieces. The B pieces will be triangular shapes. 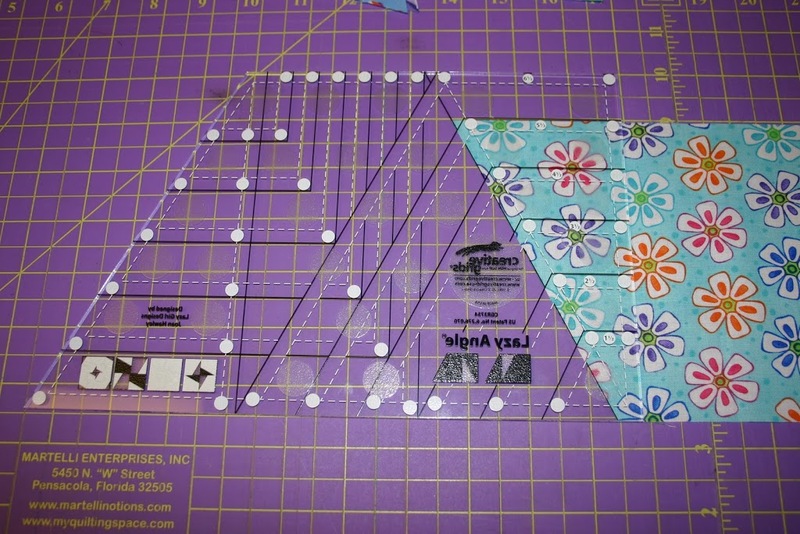 I have the left side of my fabric lined up with the 5.5″ line on the ruler. Cut along diagonal side. Now, you have to flip the ruler so it is right side down and flipped left to right. I know that part sounds confusing but after you do it once, it’s a piece of cake! If I can do it, you can do it. I kept flipping the ruler until I had 4 B pieces. Then I cut another set of A & B pieces in another color combo just for fun! Now it’s time to sew them all together. Here’s where things got a little scary for me but I managed to get the hang of it after one seam gone awry! 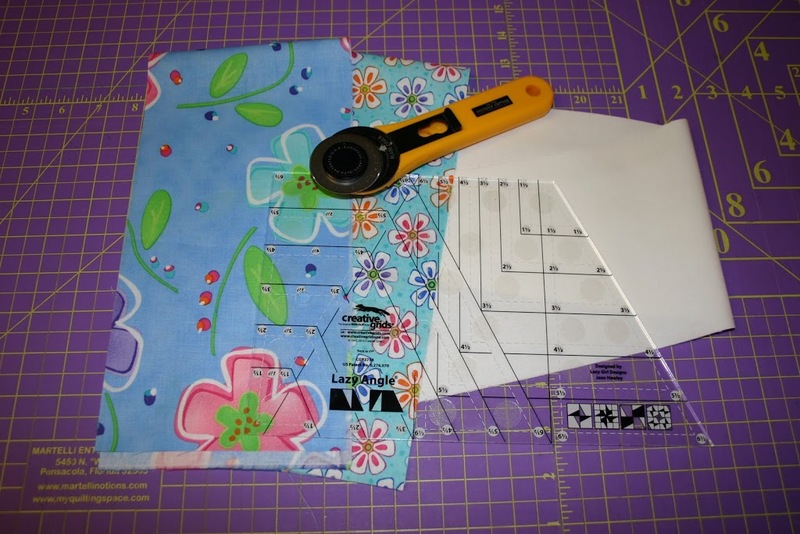 You will sew one A piece and one B piece together. The B piece should line up with the right edge of the A piece. 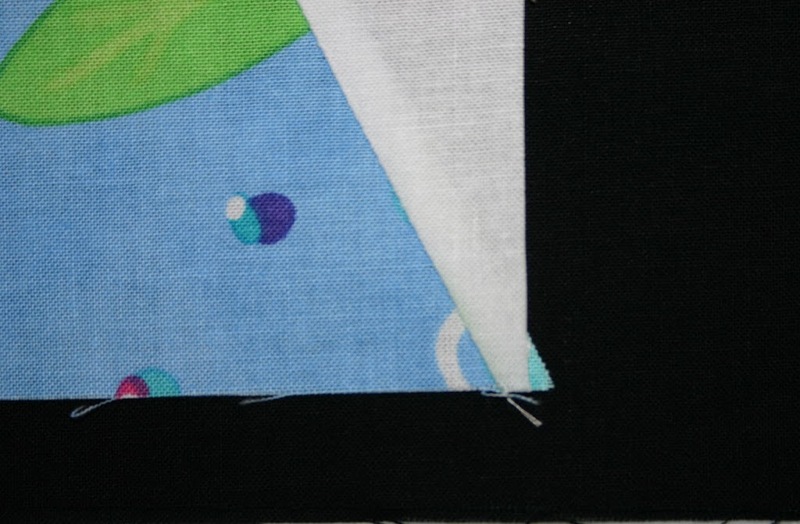 This is the important part…if you don’t line them up right you will have to rip the seam out…ask me how I know. You guessed it! I ripped out the first seam. 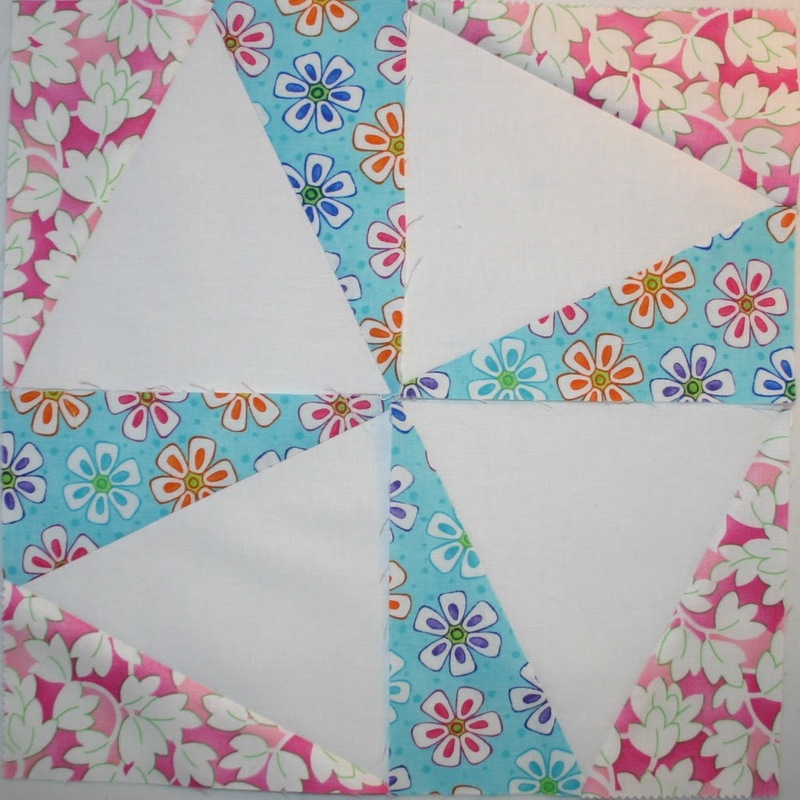 There should be a little bow formed at the bottom and of course your pieces are right sides together. The blue piece overlaps the white just enough to create the little bow tie. I found it was easier to measure to make sure I had them lined up correctly. 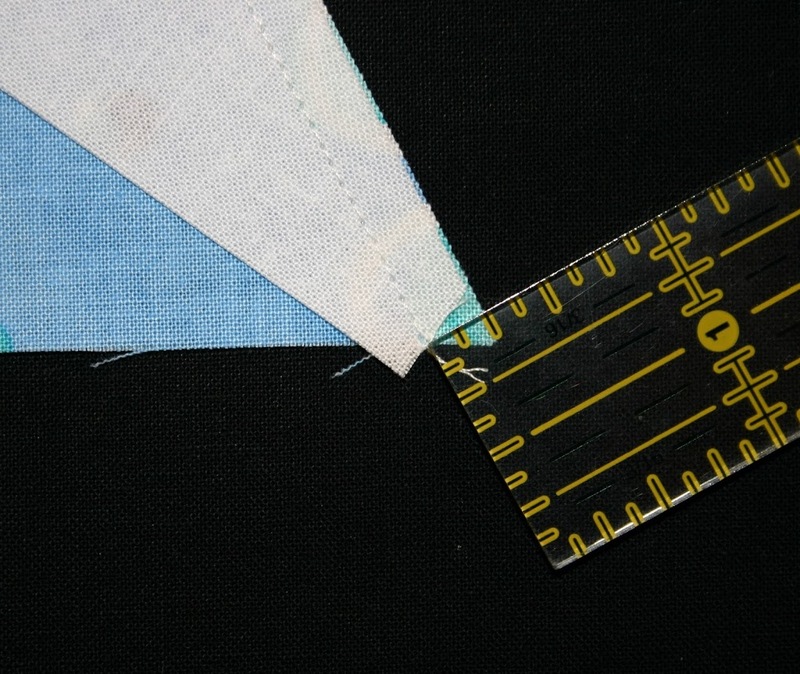 You can see that there is 1/4″ seam from the edge of the pieces to the seam I made. 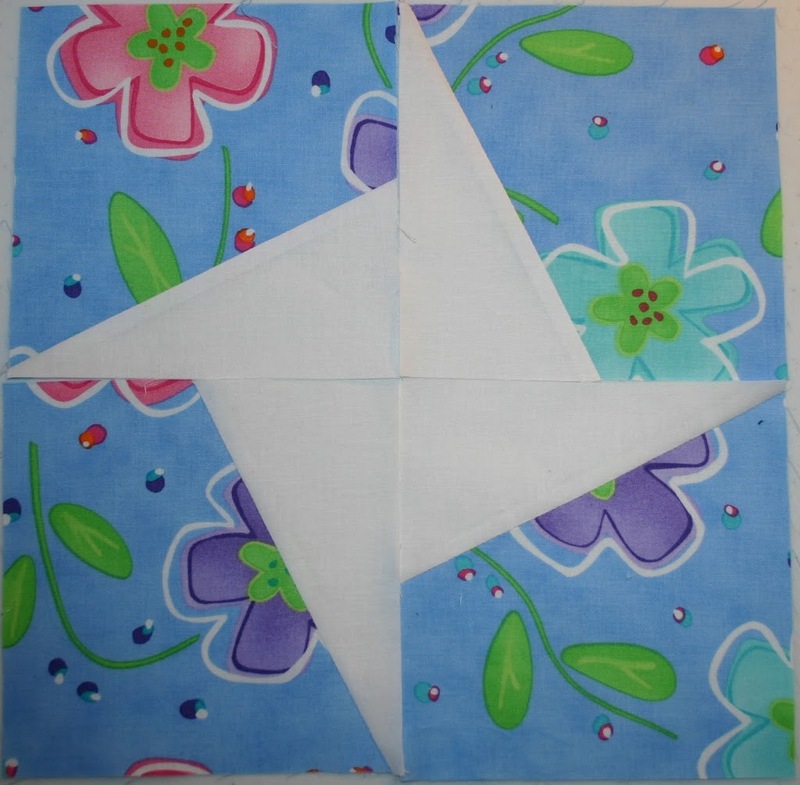 I kept telling myself that my thread needed to be right in the center of the intersection of the two pieces. If it ends up to the left or right of the little intersection you will have to rip out your seam. It’s not hard at all…it just takes a little practice. 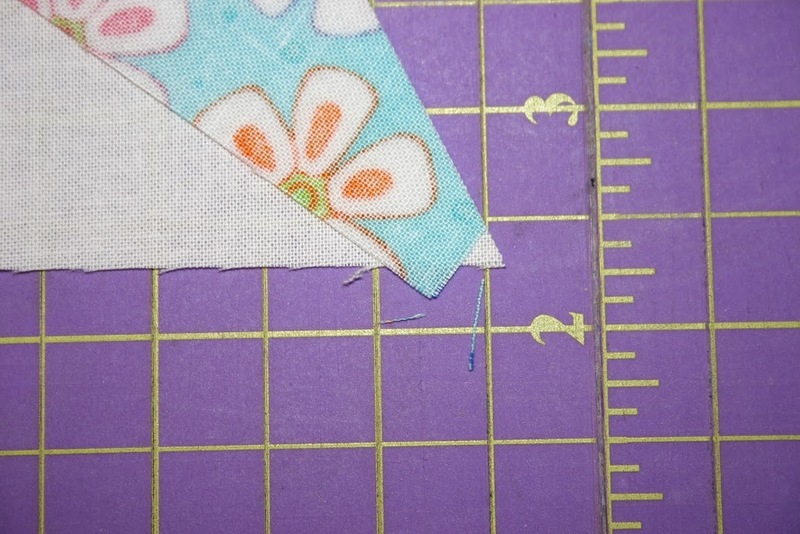 I hate ripping out seams so I measured before I sewed. However, after a couple blocks I was confident enough to eyeball it with no problems at all. 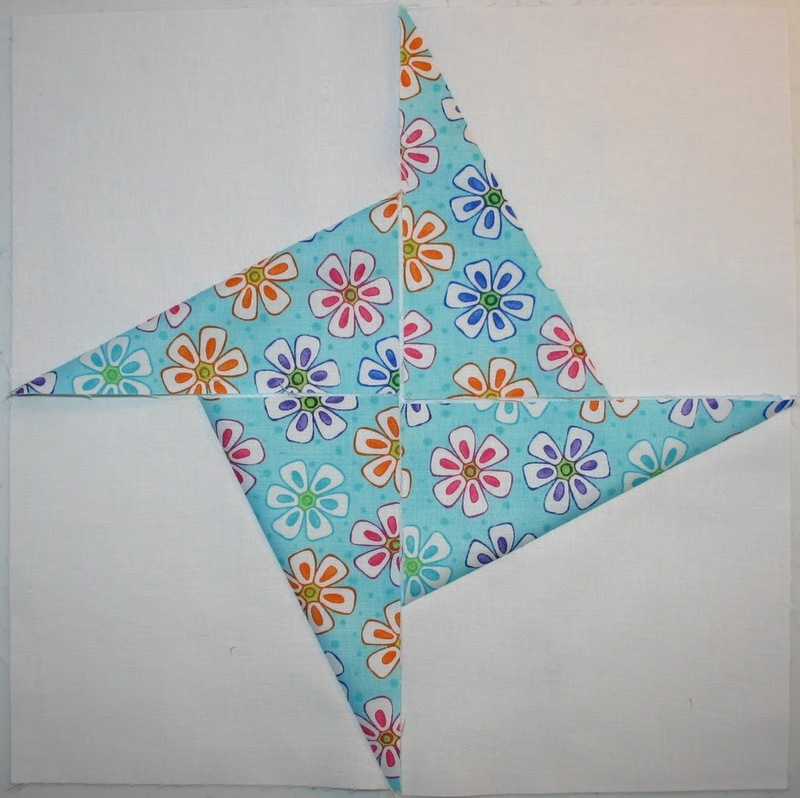 Now you can press it open and viola…one block done. 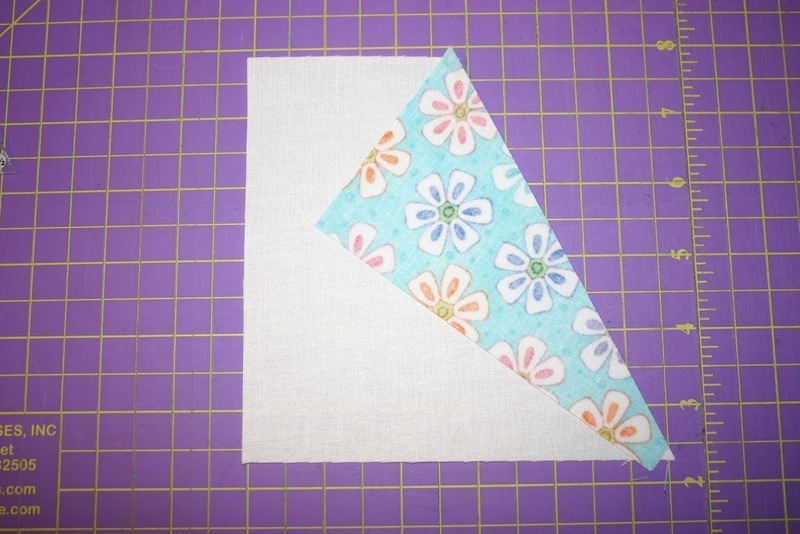 You will have little triangles that need to be trimmed at the top and bottom. This is 4 blocks put together to form a spinning star. I like the white star too! Both of the above variations have two B pieces. But guess what…there’s still more. You can keep slicing and dicing and adding B pieces to make all kinds of stuff! The included directions show 18 block variations! I did NOT make 18 blocks…sorry. I ran out of time. 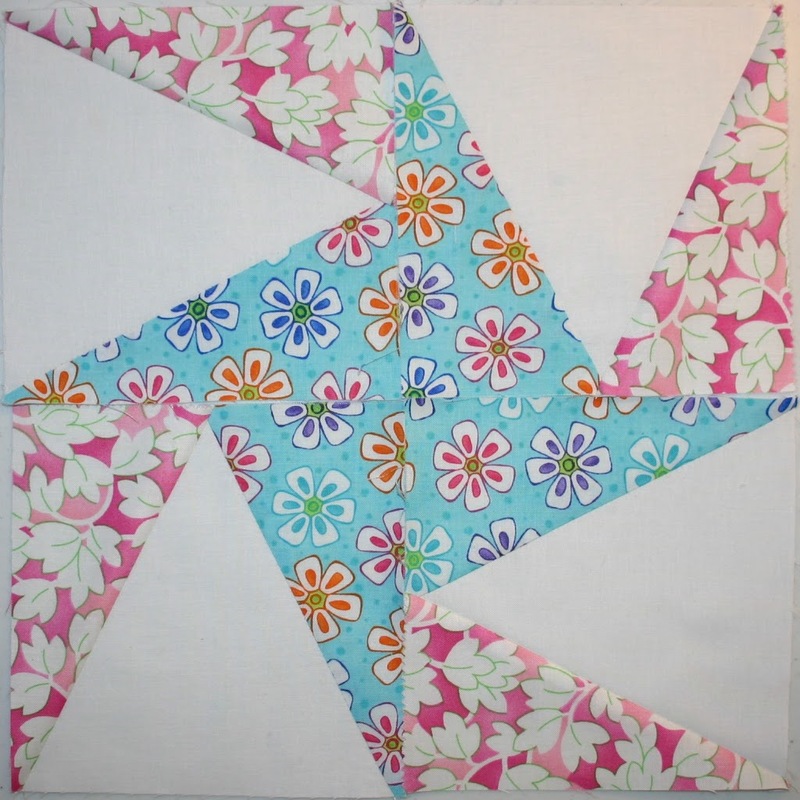 I do have kids and I already obsess about quilting more than I should. But you get the idea, the possibilities are endless! And don’t worry. You won’t have to sell your first born to buy this awesome gadget. 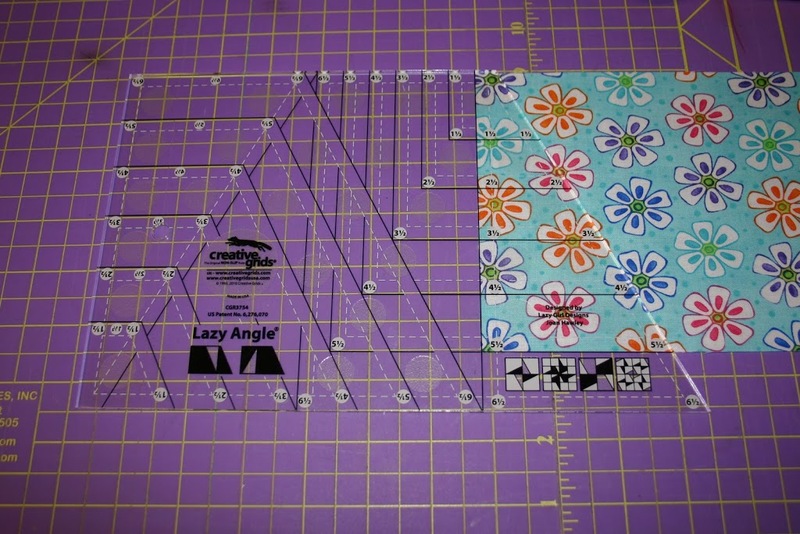 The Creative Grids Lazy Angle Ruler is very reasonably priced at $21.95. Not too bad for such a versatile little gadget! So, don’t be scared, you can do it! 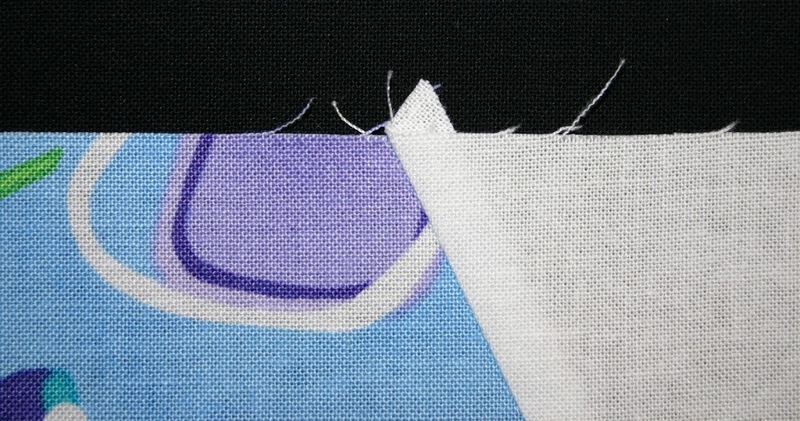 And don’t be discouraged if you rip out a seam. In fact, I would start with a few scraps just in case. We would love to hear from you if you have this ruler or if you’ve used it. We welcome all comments even if you aren’t as gaga as I am over this ruler! 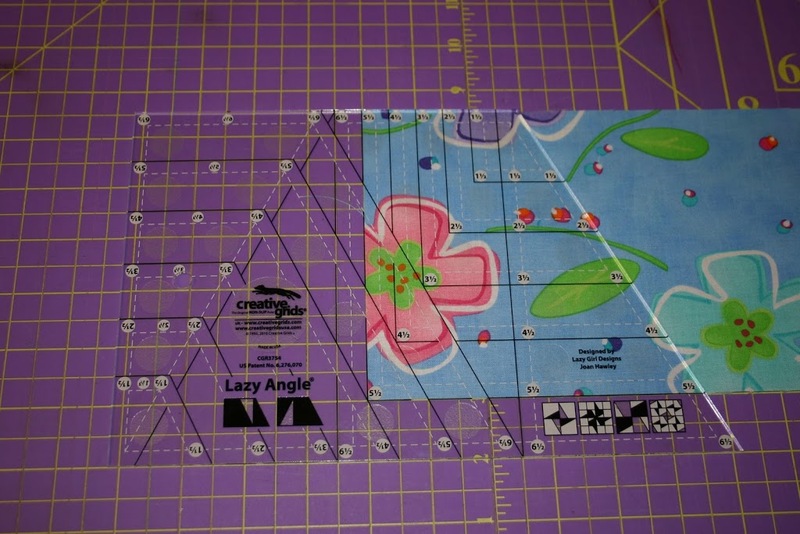 Great review on the Lazy Angle ruler! I didn’t know there so many different blocks to make with it. Thanks! I am going to buy the Lazy Angle ruler on Thursday (payday) from you. I didn’t even know about it. I saw everything you did with it and I want one. Thanks for sharing. I have this ruler. Thanks for all of the tips. I just got the lazy angle ruler in the mail And am excited to begin my next project so thanks for the info.